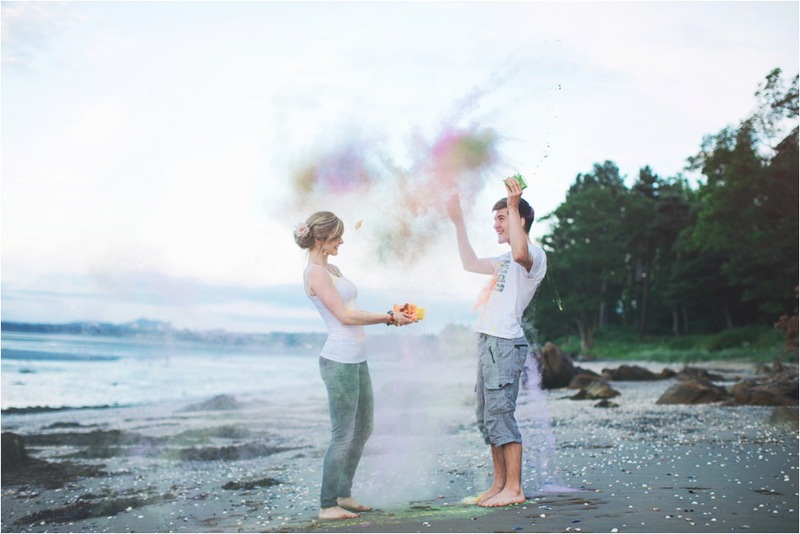 As creative photographers when a couple of ours suggest using powder bombs for their shoot is an exciting and fun prospect! 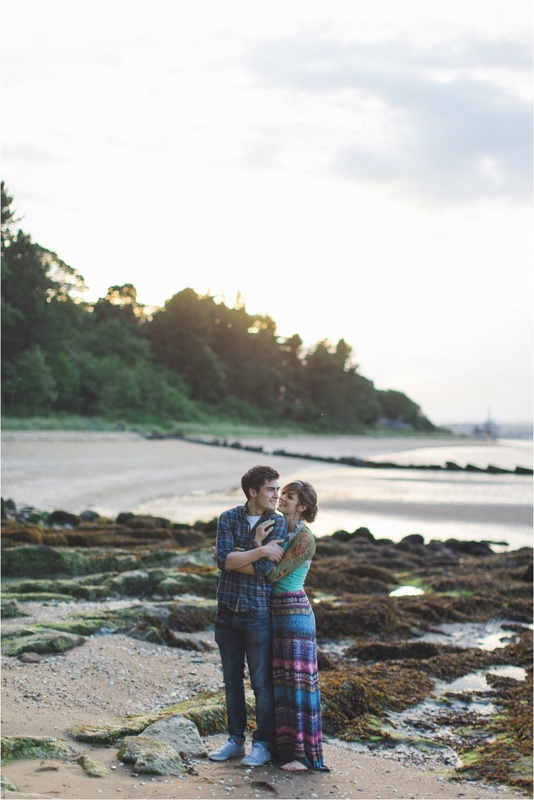 In summer of 2014 we got to spend an amazing evening with Christina and Pete for their Save the Date shoot in Queensferry. 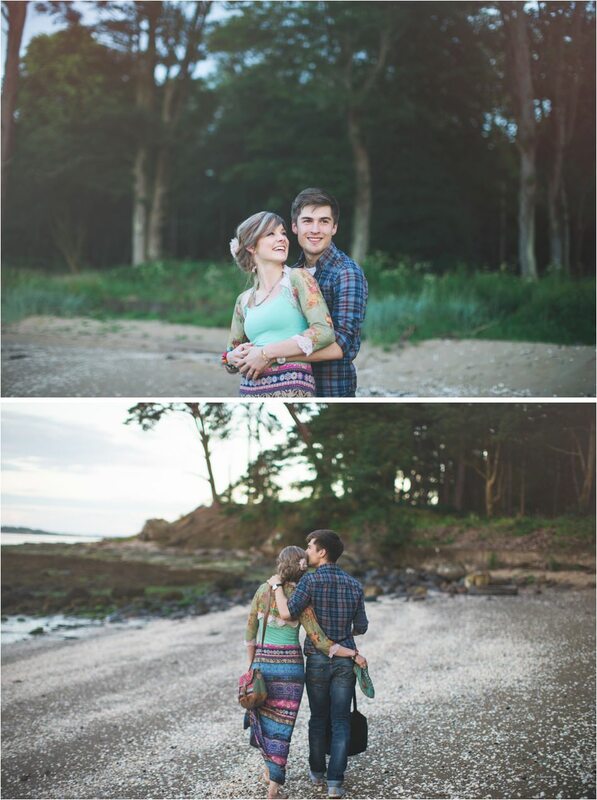 That summer in Scotland was incredible for golden light filled evenings and this was no exception. We even had a super moon to admire on the drive back home to Glasgow after the shoot. 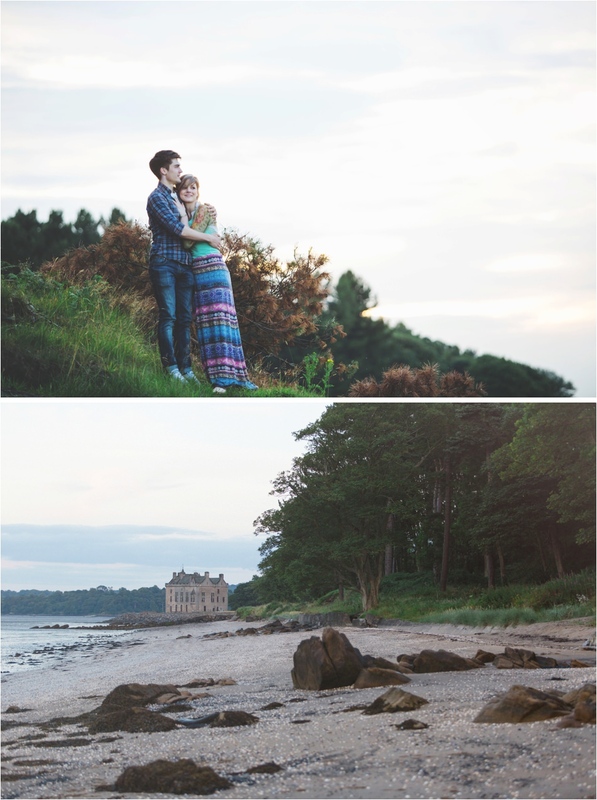 For the photo shoot we met up at Christina’s parents home in South Queensferry. 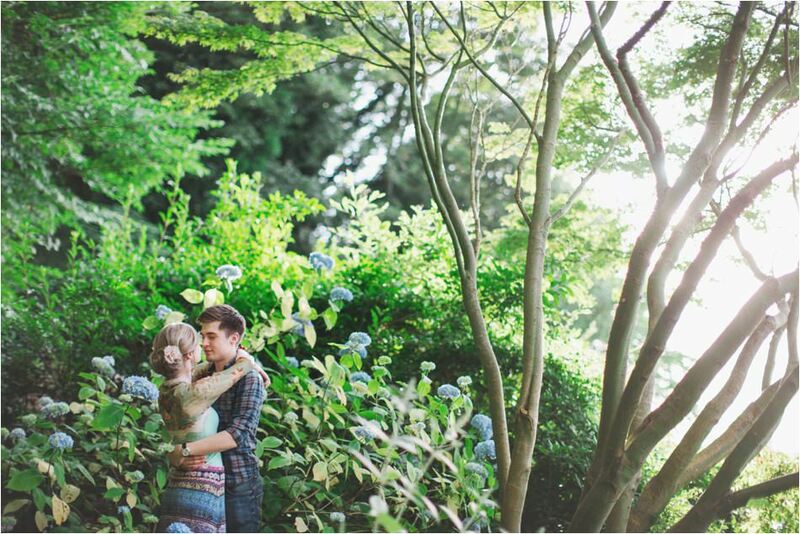 Her parents are very proud of their garden so we started off by snapping a few shots there. We then had such an amazing walk and such a good time we lost track of time but as you can see it was well worth it!! We loved Christina’s idea of the coloured powder bombs! She had picked up a few extra ones for the shoot at a colour me rad run she had done. 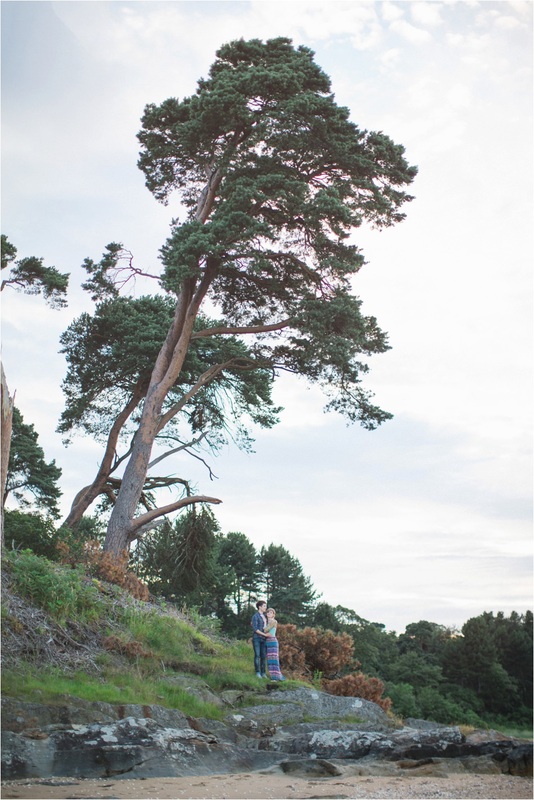 Quick thinking on her part as we probably captured one of our all time favourite shot! 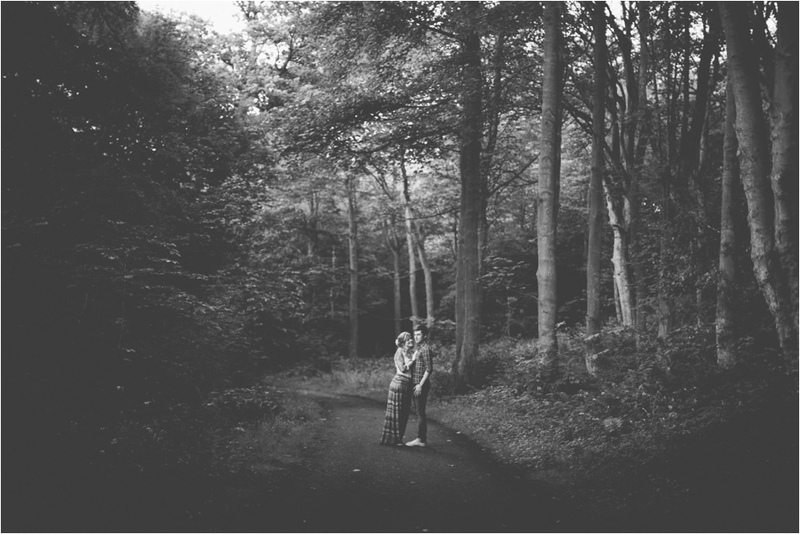 Why not get creative for your engagement shoot? 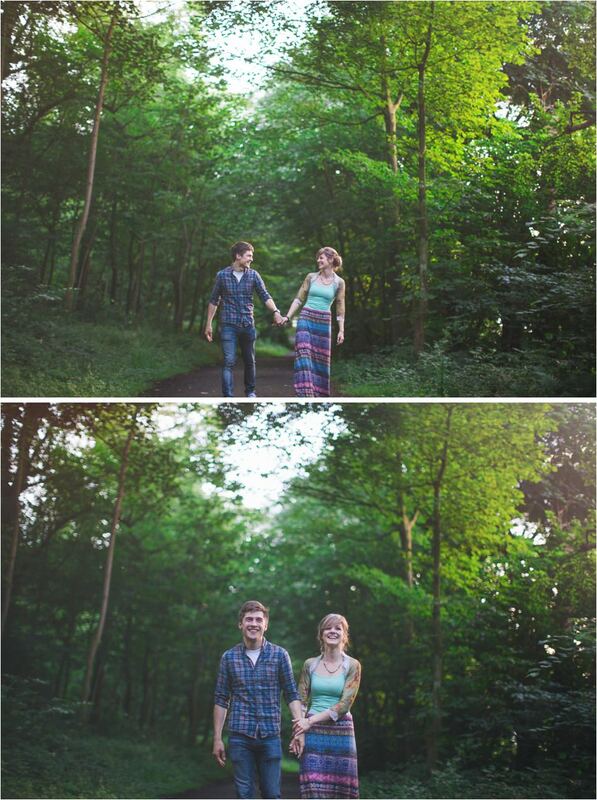 Christina and Pete used one of their photos from the shoot for their save the date cards. 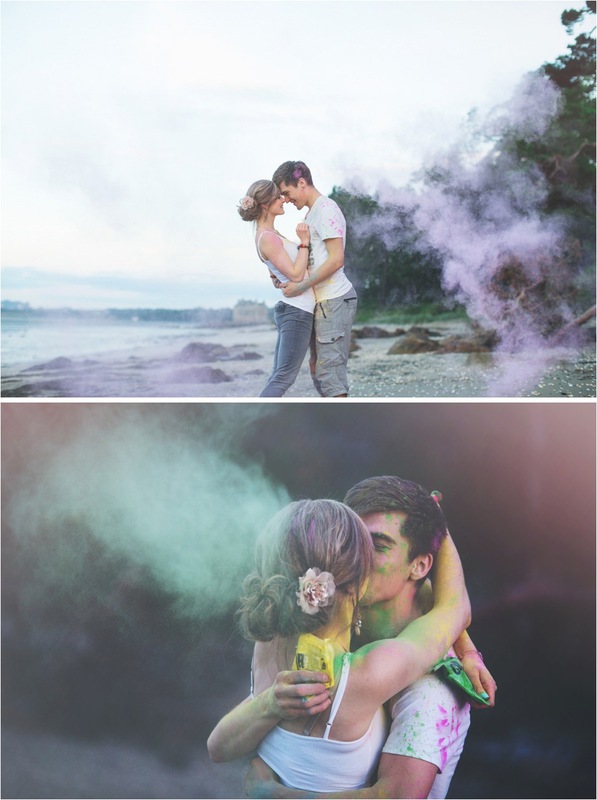 They wanted the invitation to reflect their fun and carefree personalities so using powder bombs for the shoot was a perfect touch to inject their personalities literally right into the frames we captured during their shoot. Think outside the box and don’t be afraid to try something new. We love going on photo adventure hikes to beautiful and scenic spots so if you like hiking this could be perfect for you. 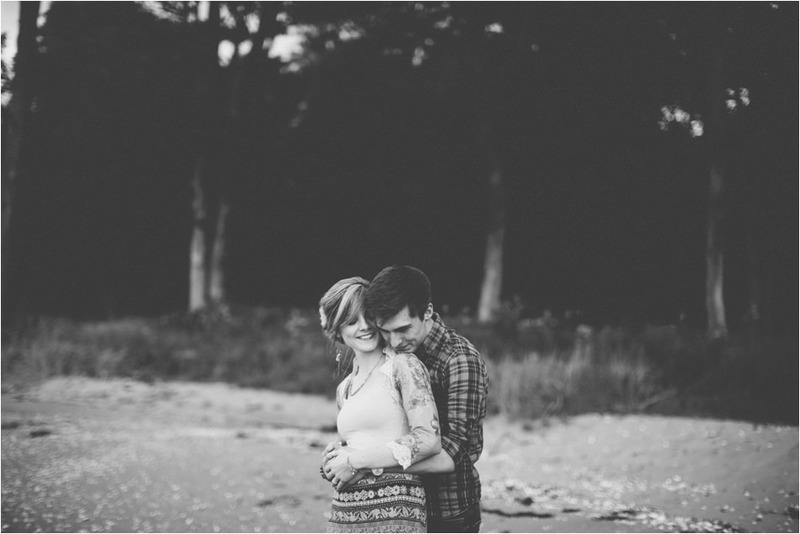 Love cozy nights in why not have an in home lifestyle couples session like this shoot we did. 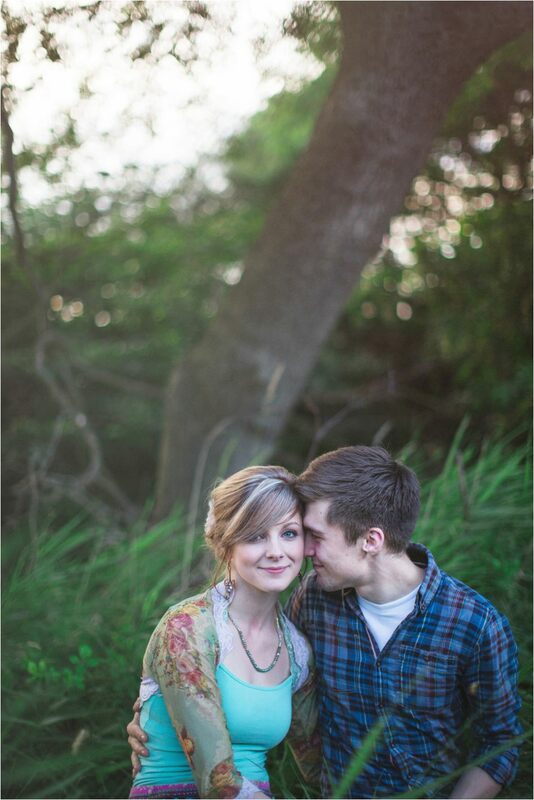 Did you get proposed to locally? 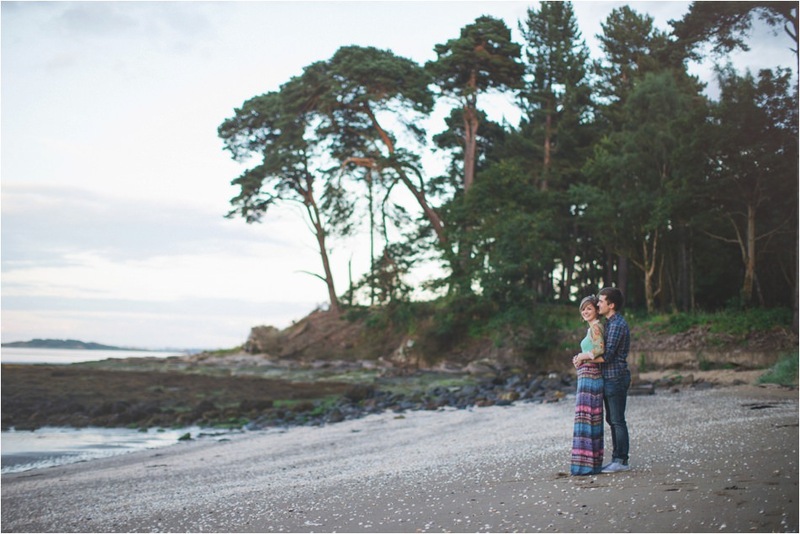 Why not have your shoot where the proposal took place? 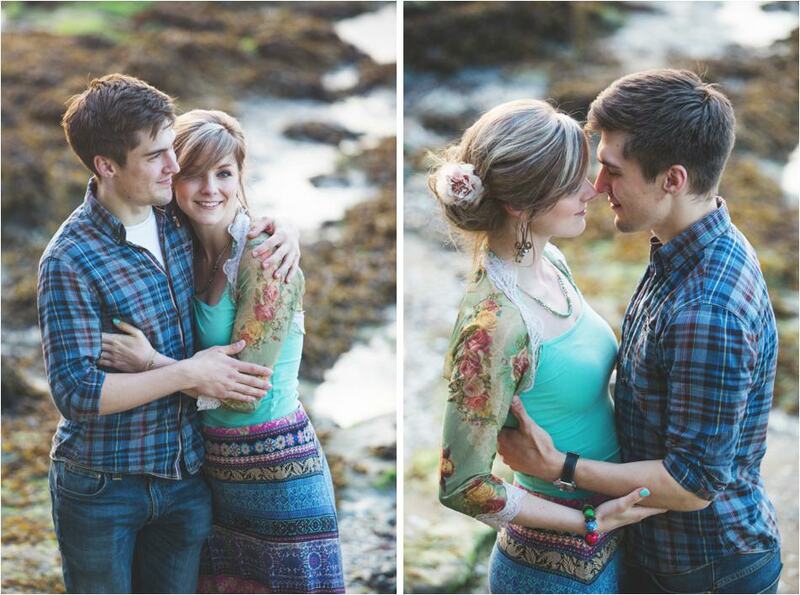 This is a great way to continue your story as a couple. 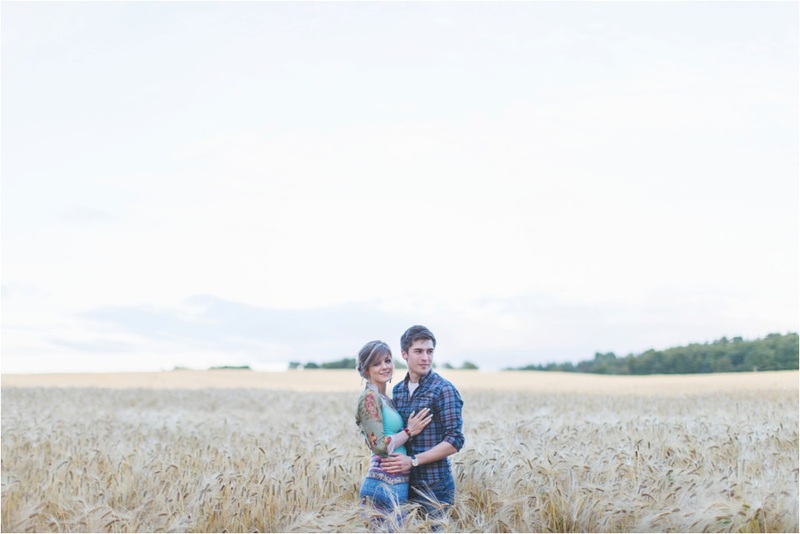 There are so many ways to make engagement shoots just that extra special while practicing for your big day!